A dinner menu with chicken casserole as the star is the perfect welcome home for a family. 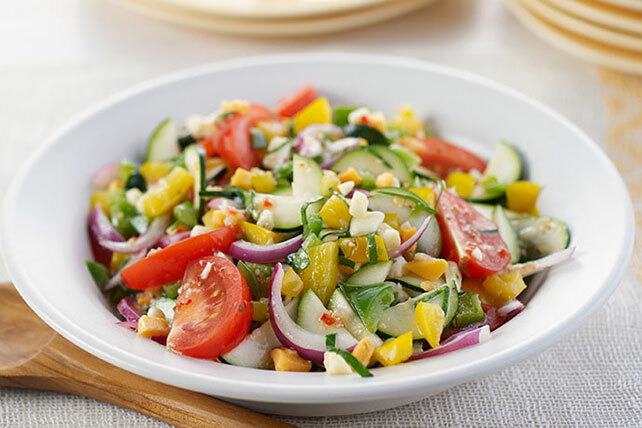 A veggie side and colorful fruit salad are in supporting roles. 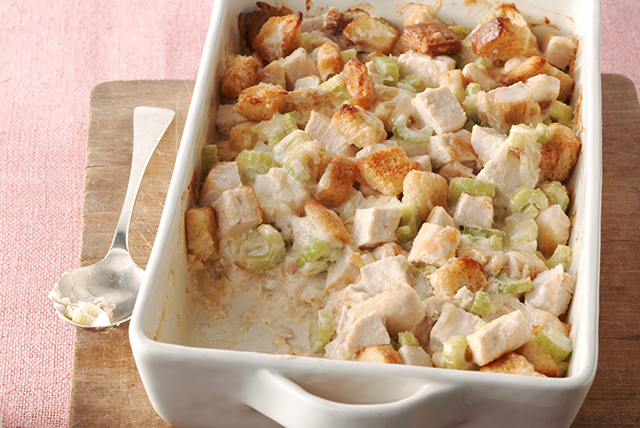 We have chicken recipes and casserole recipes, and then we have Swiss 'n Chicken Casserole. It's so popular it gets a dinnertime menu of its own. This Healthy Living recipe for marinated vegetables is a great side dish to serve with your chicken casserole. It's crisp, crunchy and delicious. Our Sunburst Fruit Salad can be a fruity dessert or a side dish. Either way, we think it's the perfect Healthy Living dessert ending to dinner.